Working in the hospital for the last four weeks has been an incredibly fulfilling and engaging experience. Additionally this experience has illuminated the underpinnings of a foreign health care system first hand. From 7am-12p.m I assist the nurses, doctors, and patients to the best of my ability in order to help the day run easier and quicker. The medical culture in Quito is quite different than that of the States- there is a much more relaxed and calm aura, even in the emergency rooms, female doctors and nurses spend full days in heels, and there is often many patients in a consultation room. Beyond these small observations, however, the desire to improve and get up to speed with western medicine is evident and exciting to watch. All of the doctors and nurses I have assisted have been warm, inviting-and love explaining everything they do in a way that I can understand. 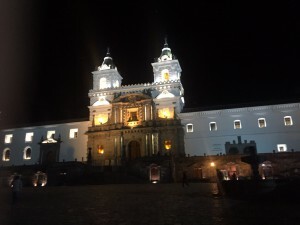 Life in Quito has also been very interesting. Ecuadorian culture has been wonderful to be a part of and observe-as it is heavily tied to family, Catholicism, and salsa dancing which serve as channels to meet locals. 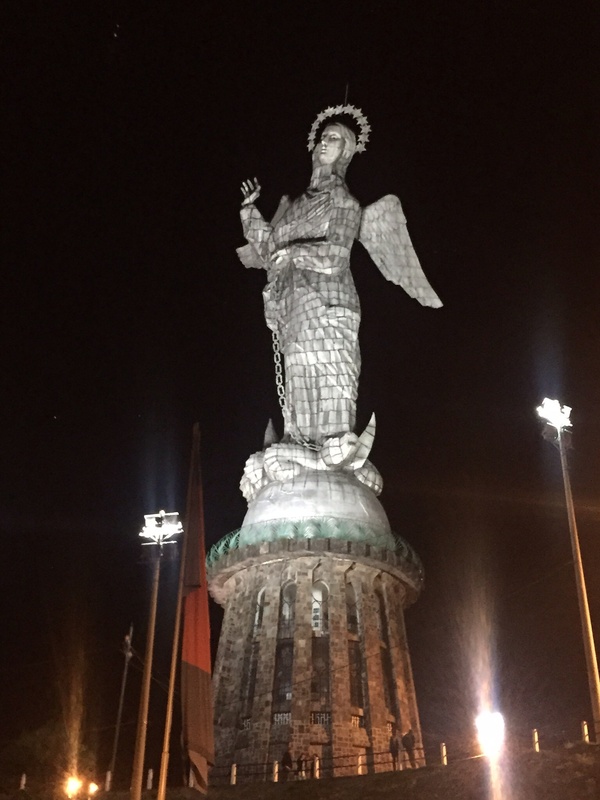 The history of Quito and Ecuador as a whole is also fascinating and the more I learn, the more I have come to understand the evolution and reasonings of the health care system here. I have also had the chance to connect with many volunteers in the hospital from around the world. 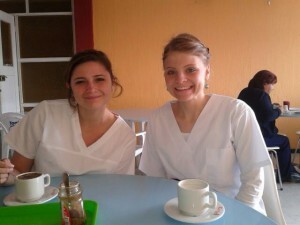 It has been really interesting to hear about their countries’ healthcare system in contrast to that of Ecuador. Given the opportunity to converse with healthcare professionals and learn hands-on has been an experience completely different from studying at Brandeis. I have gained many medical skills such as taking blood, stitching, and taking vital signs which are skills that I would not attain until later in medical school. I have also learned that 80% of Ecuadorians use the universal healthcare system, which is supplied by the government. Unfortunately, there are not enough hospitals to support the demand. Consequently, often the hospital I work at and others in Ecuador tend to be in hysteria, with as many people jammed into the waiting rooms as possible. A great article that discusses these issues can be found here. As the United States moves toward universal healthcare, I think it will be important to recognize the weaknesses of other universal healthcare plans to know how to structure and improve it. If you are interested in a quick synopsis of the healthcare system in Ecuador, PubMed does a great job. A skill that I have gained and am continuing to work on is my ability to communicate in Spanish to the patients, doctors, and other healthcare professionals. More than becoming well versed in Spanish medical terminology, I have been more confident in approaching doctors and nurses and asking them about their experience and what they do. Finding the confidence to follow my curiosity in a very different culture is something that I was afraid I would be unable to do. I look forward to continue pursuing my curiosity academically, as a future healthcare professional, and as a visitor in a foreign country. Paulina, I am so excited to read your posts and hear that you are having some great learning experiences. I can identify with your fear that you wouldn’t have the confidence to put yourself in this new environment and push out of the comfort zone to gain the full experience. I know that you know Spanish and if it was difficult for you, I have a some more insight in the difficulty of assimilation. I interned in Haiti this summer and I had no experience with Kreyol and had to learn as I worked, which is one of the hardest things I’ve done. I am proud of myself for challenging myself to not only do my job well, but to be fully present and outgoing in all that I did. I hope you are doing the same; I can’t wait to read the next blog!